Last Edit: 11 Mar 2017 10:24 by Flare. I ordered this book a month ago... however, it's still not delivered yet, while I already should have received it 2 weeks ago. Won't surprise me if the book is being held up or something. Hmm... I see it's currently 'unavailable' at Amazon + Barnes & Noble and I guess that's because it is being censored. Menuhin 's book is available so this is odd. Sad news to report, boys and girls. 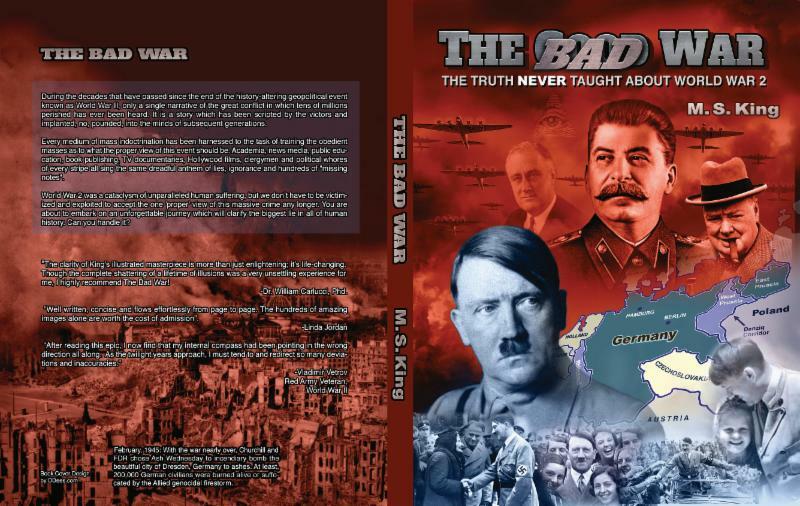 We’re contacting you regarding the following book: The Bad War: The Truth NEVER Taught About World War II. During our review process, we found that this content is in violation of our content guidelines. As a result, we cannot offer this book for sale. THE AMAZON PAGE WAS HOLOCAUSTED! We will still sell the book through this website, of course, (here) and have it shipped third-party from the self-publishing service. But having lost access to Amazon's awesome marketing and distribution machine, we expect sales to drop by at least 80%. In due time, other titles may even get bumped off, especially if the situation with Russia continues to deteriorate -- a reality which may result in 'The War Against Putin' being removed. 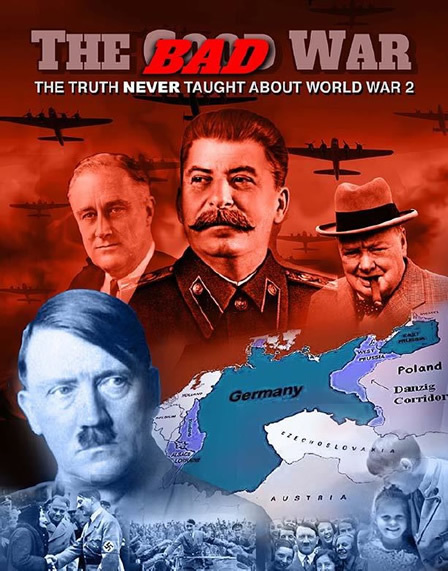 On a personal level, I am concerned over the lost revenue stream, angered over the censorship, and saddened that "newbies" and young students will no longer be introduced to the truth of World War II by Amazon's mass marketing power. Bastards! If you appreciate TomatoBubble.com and the assorted books, please help me to offset the forever-lost Amazon & Kindle book sales. What a shame it would be if your intrepid reporter here had to give up digging for truth on a full time basis. A minimum $5 per month sustaining membership or generous one-off donations would be greatly appreciated -- as would continued book sales of other titles. Let's take this lemon and make some lemonade. I reeeeaaally would like to have that amazing looking book in hand.